I am so happy to let the secret out today. 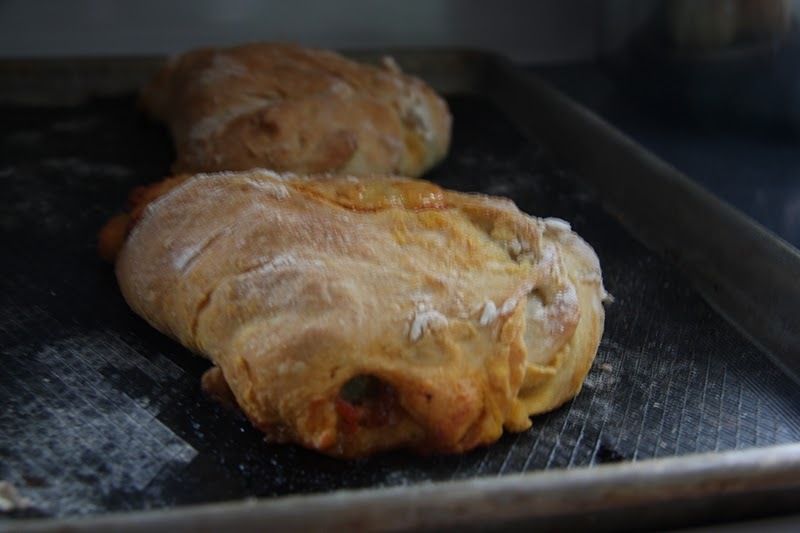 I was given an amazing blog to stalk this month and here is a recipe that my family enjoyed so much that they want it again soon. I was given Melissa and Angela’s amazing blog foodiesatwork. These two buddies met at University and although they are separated by quite a physical distance they still get to ‘hang-out’ in blogland to dish (terrible pun) about their favourite subject-food. 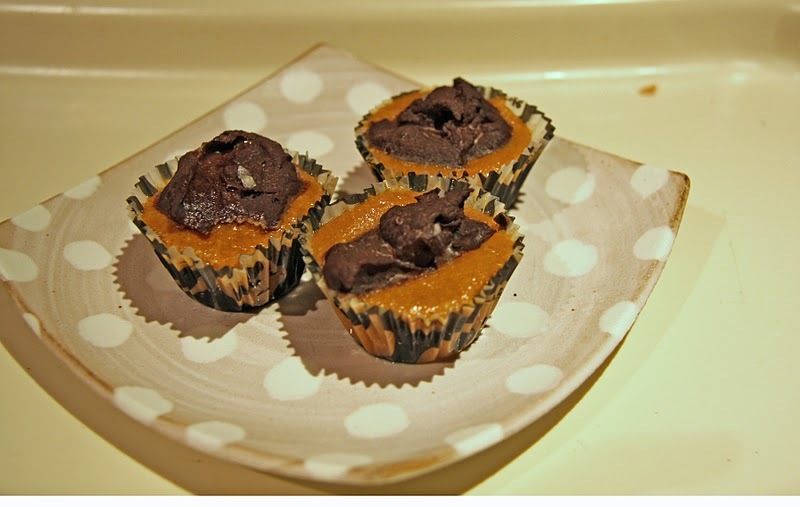 We tried (and loved) Peanut Butter Cups. These bad boys are vegan and helped to fill the craving that my dairy hating body has been craving. 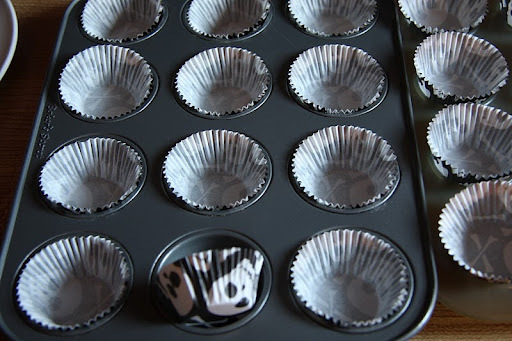 Line a 12-cup muffin tin with paper liners, and set aside (Note from AID: I put mine in tiny cup liners and then ate three of them. If they’re small don’t they have less calories? 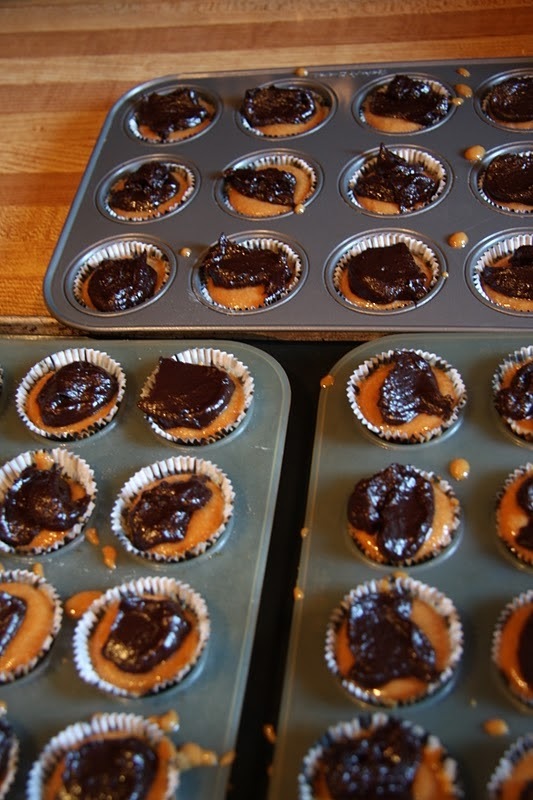 I got 36 gorgeous treats out of this recipe.). 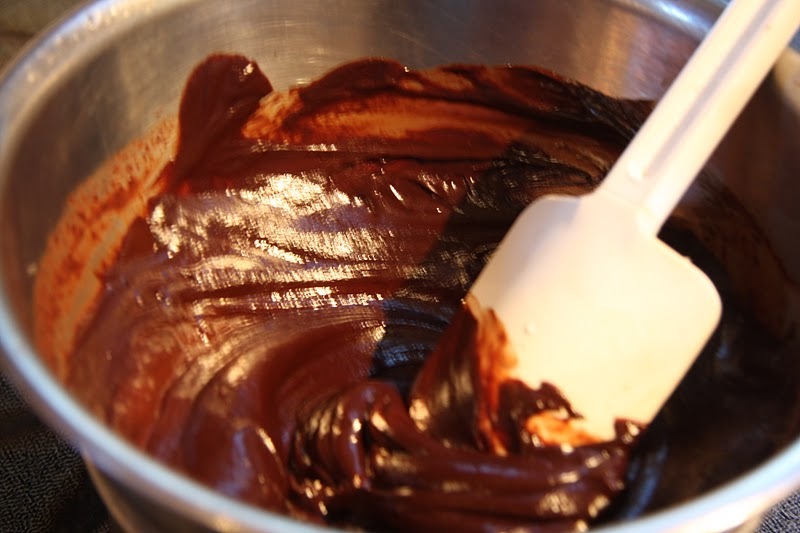 Melt the butter in a small saucepan over medium heat. 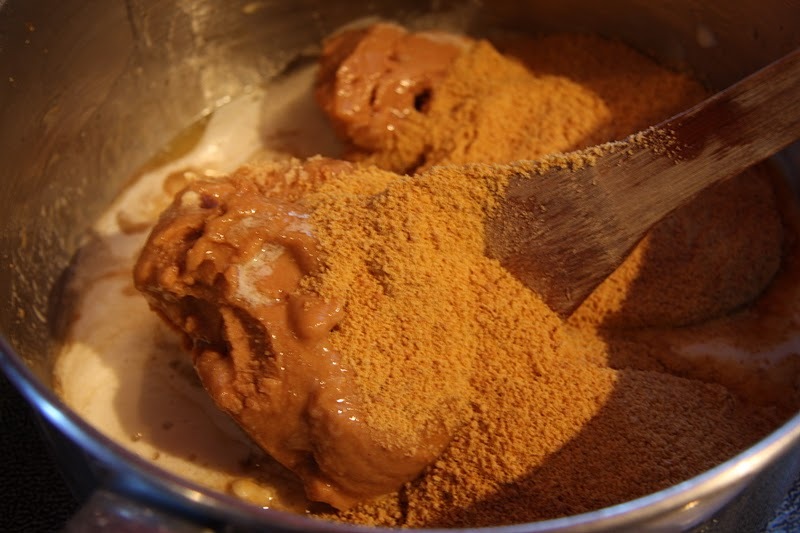 Stir in the peanut butter, graham cracker crumbs, and sugar and mix well (ummm yeah, I just dumped everything in). 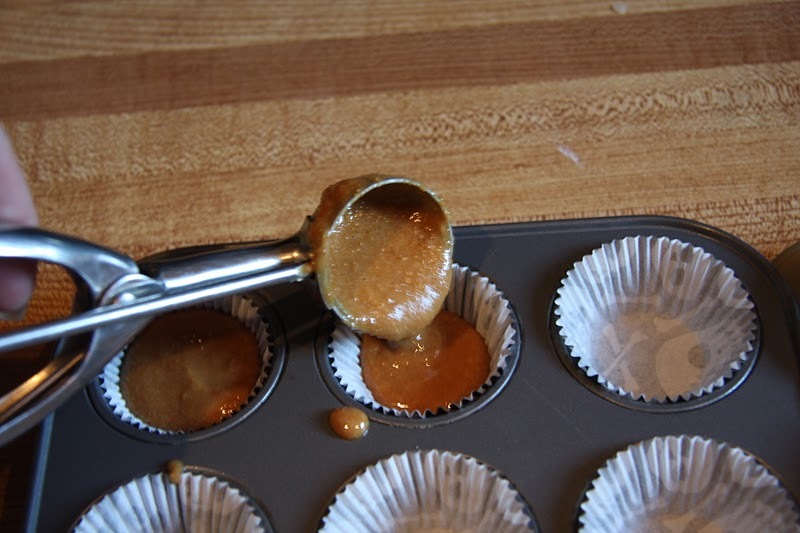 Remove the mixture from heat, and evenly divide among the muffin paper cups. 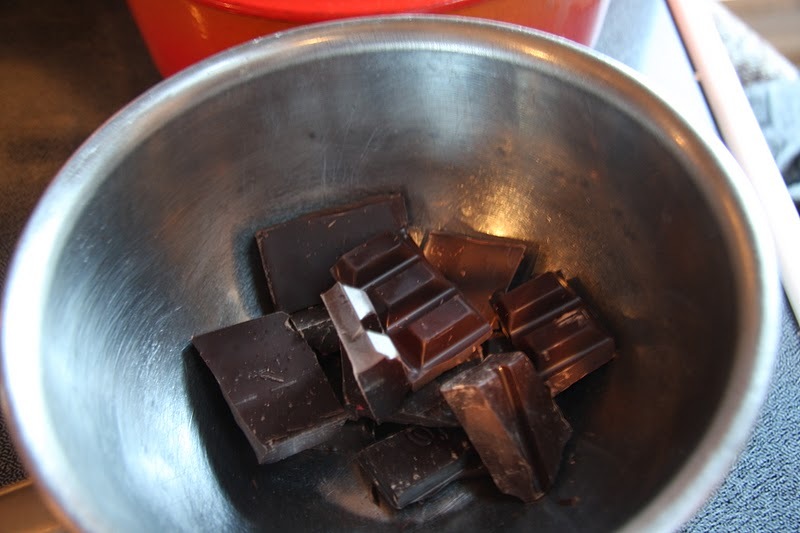 Then, combine the chocolate chips and milk in another pan. 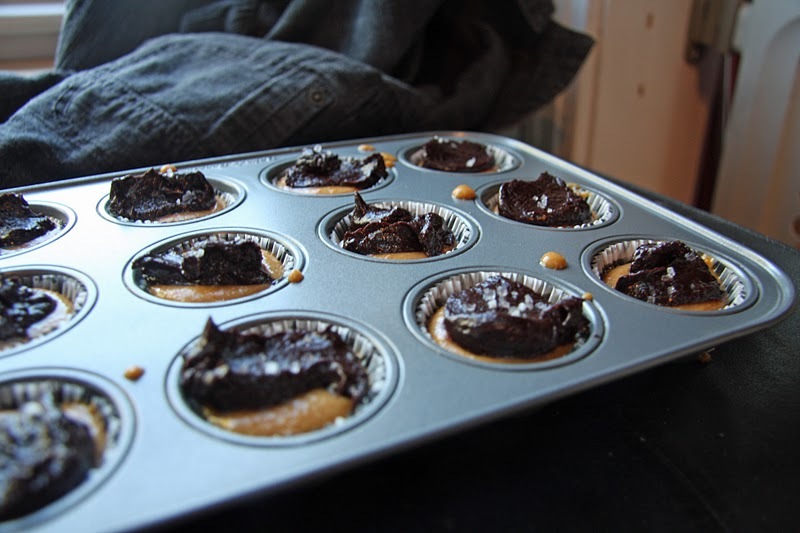 Spoon the chocolate evenly over the peanut butter mixture in the cups. Top with chopped nuts, and place in the refrigerator to set for about 2 hours before serving. Because I’m such a rebel (didn’t you see the totally, rebel cup liners?) I topped these with a little bit of sea salt-they did not last long. 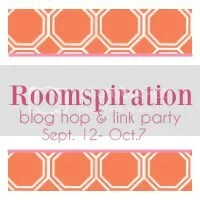 This is the last Thrifty treasures linky party of the year. The lovely Rhoda from Southern Hospitality has been kind enough to be host the many months and I have to say that I’ll miss the challenge each week to find something really neat but thrifty. I’ll also miss seeing everyone else’s goodies BUT knowing our incredibly talented hostess she will come up with something equally exciting. Here is my last blast and it is thanks to my lovely neighbour. She knows how much I love books and she knows that my little one already has inherited this love. 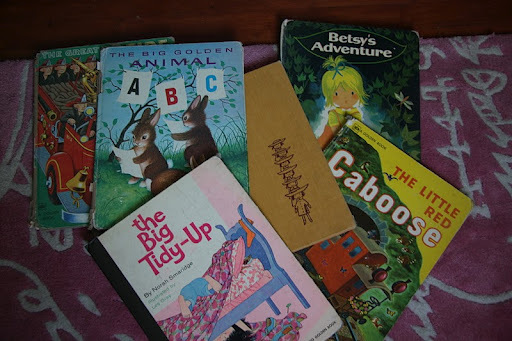 So, imagine how thrilled I was when she arrived at our house the other day with a box full of vintage children’s books. GORGEOUS! 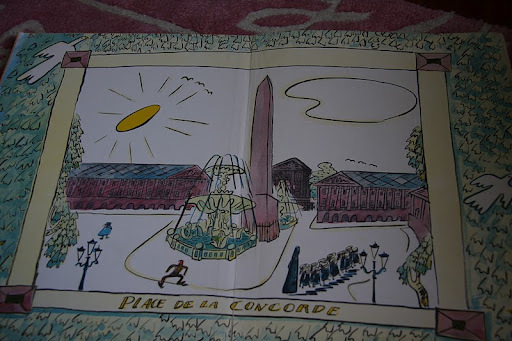 The colours, the pictures, the totally camp messages in some of them. Here are a few of my very favourites. I do have a fun project that I also want use use one of them for. Surfing pinterest the other day I found this very neat calendar from Next to heaven. 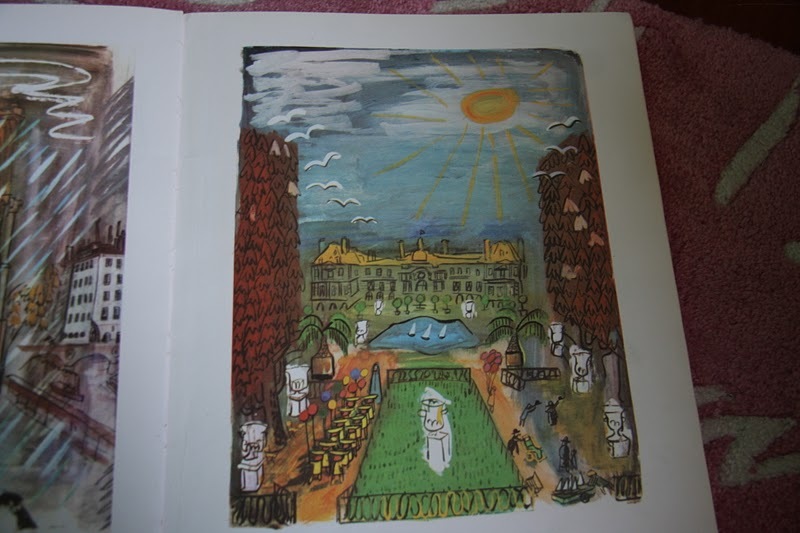 So, I’m going to sacrifice one of the books and use the pages as backings. What do you think? So totally sums up our family and will be fun at the front door. These pockets aren’t about exploding tomato sauce or coming fresh out of the microwave after school. Don’t get me wrong, they’re good in their own special way but I’m sort of past my teenage-boy-eating-my-own-weight-in-food-each-day phase so I like my food a bit more mindful. You know, since I have less of it. Instead I took inspiration from my trip Saturday to the farmer’s market and a few items that I really wanted to use up in my fridge. Yes, another fridge reference. That is a story for tomorrow. 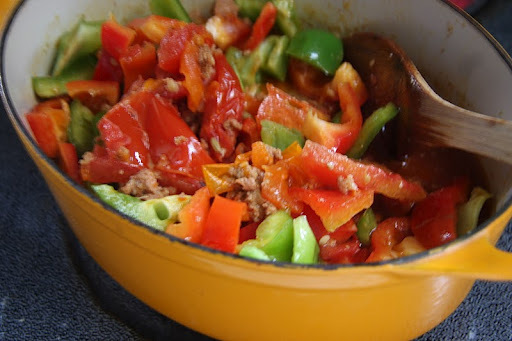 In my pot of deliciousness below, I’ve got; 6 quartered tomatoes, 1 T. olive, 2 T. balsamic, 1 roughly chopped, red pepper, 1 roughly chopped green pepper, 1 cooked, Italian sausage (yep, this is a leftover) and a liberal sprinkle of chilli flakes (Don’t like heat? Leave them out). 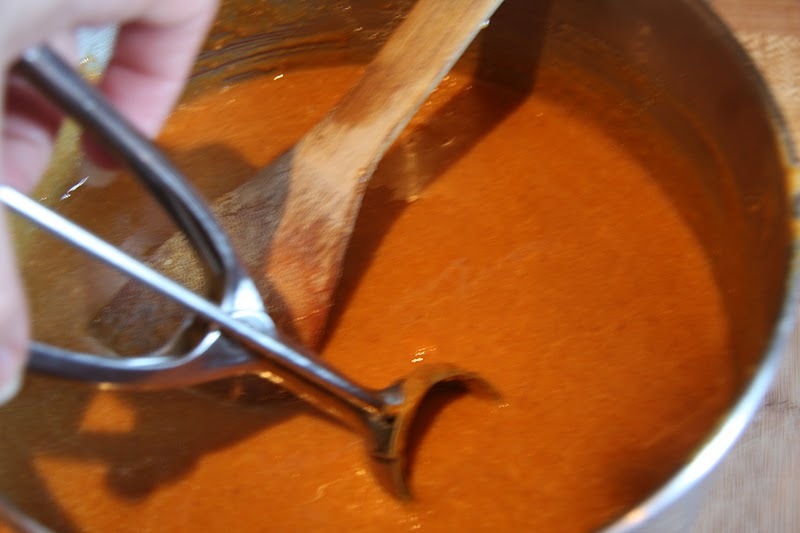 To be honest, the night before we had the tomatoes (roughly 8 of them) as a salad and they got reincarnated into this sauce. I like the tang of the balsamic and the fruity olive oil so much that I would do it again exactly the same way. Let this burble away until the veg a soft and the sauce is thick (about 30 minutes). 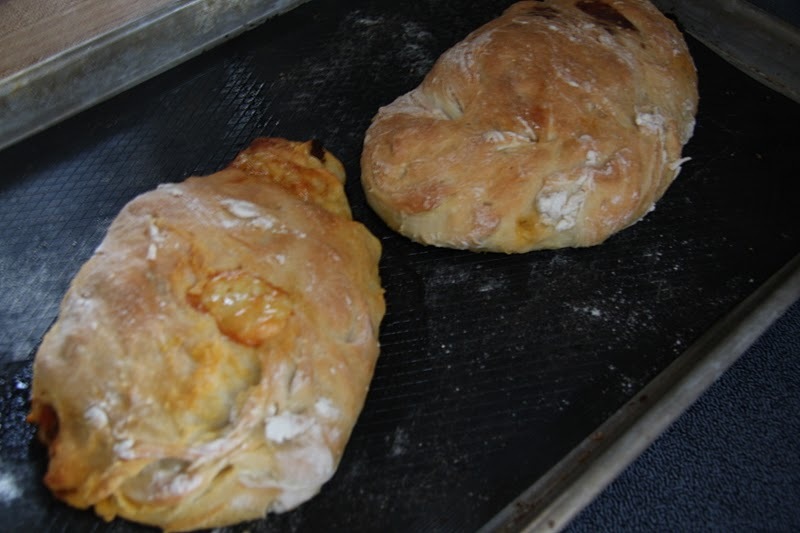 I had a batch of focaccia dough already made but don’t worry if you don’t. 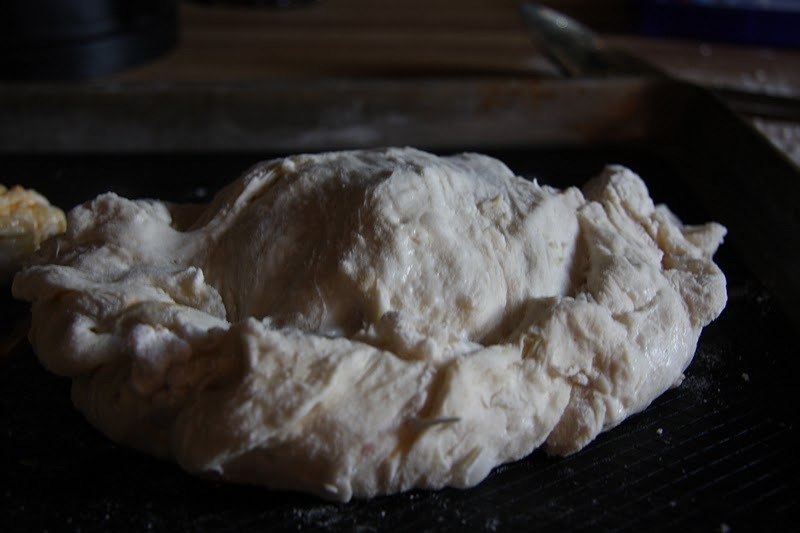 Just get the grocery store to sell you a ball of frozen pizza dough. 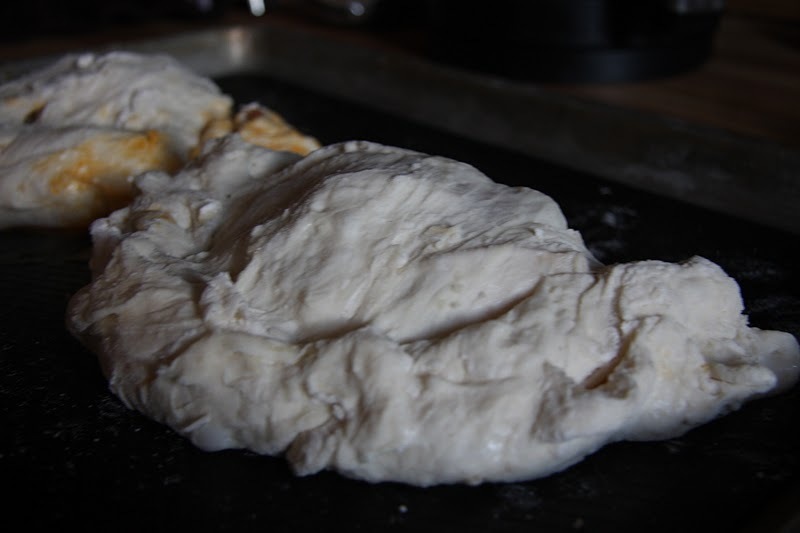 Divide into six, fairly equal pieces. 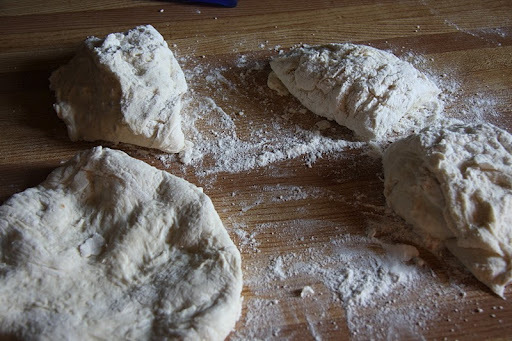 Pat your dough balls down to roughly, 8 inch circles. 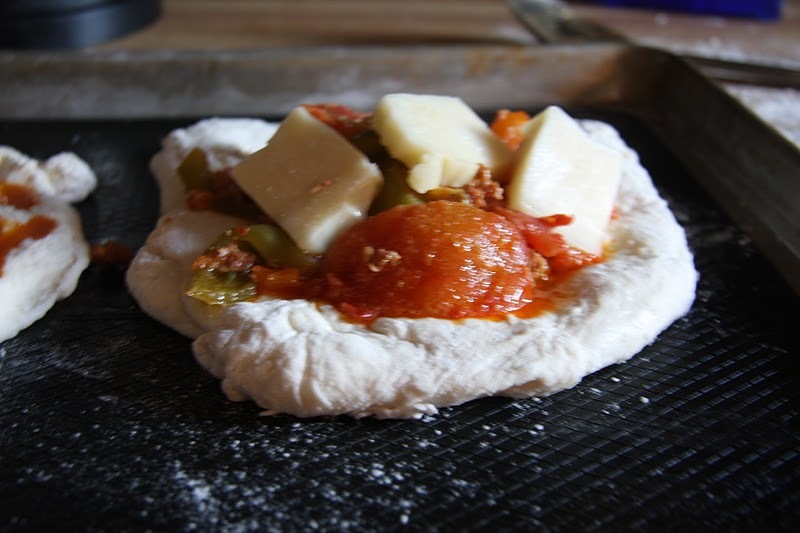 Top with sauce and chunks of cheese. I happen to have an open pack of mozzarella but you can put in whatever you would like. Fold over and crimp edges so that you don’t loose all the goodies while they cook. Bake for 30 min. in a moderate oven and eat hot or cold. These are a great work lunch item.